Centre for Legal Aid, Assistance and Settlement (CLAAS) was established with the vision of providing free legal aid to religious minorities especially Christians who were charged under Blasphemy. We also provide legal assistance in cases of abduction, illegal detention, sexual assault, forced marriages, domestic violence and forced conversion. 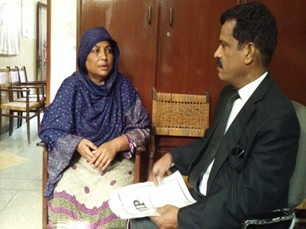 CLAAS has a panel of four Christian lawyers on its payroll, who pursue cases in lower courts and High courts in Lahore and surrounding cities. Local lawyers are hired for cases outside Punjab. CLAAS is known for its reliable and impartial reporting of incidents of human rights violations. Besides accuracy and comprehensiveness on time approach is a critical factor in validity of any fact finding mission. To acquire actual facts we conduct our own fact findings of incidents of human rights violations; after which a report of the incident is published. This helps us in assessing the situation and the need of the affected individual or family. In some cases legal assistances is not required in such cases we still maintain documentation of these incidents and use these reports as case studies. 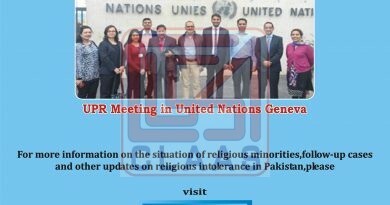 Through these publications and reports we highlight persecution of religious minorities in Pakistan. These reports and publications are shared with like-minded local and international human rights organizations, individuals, diplomatic missions and church organizations. This helps us in bringing these important issues and cases to the notice of national and international community and to motivate and mobilize public opinion on the situation of human rights violations in Pakistan. In cases of sexual abuse, forced conversion, forced marriage, abduction and domestic violence female survivors not only bear physical and emotional pain but are victimized again by the shame and stigma forced on them in a culture that places blame on the victim and ignores those who brutally attacked them. In many cases these survivors are rejected and cast out by their own parents, husbands and communities. In some cases these women survivors face threat to their lives from the perpetrators; who through local police and community leaders pressurize these survivors to drop legal and criminal charges against them. These survivors are given safe boarding and lodging in CLAAS shelter home called “Apna Ghar”. CLAAS ensure that women and children staying in “Apna Ghar” are provided treatment not only for their physical wounds but also for their emotional healing. Awareness raising sessions and workshops are arranged to facilitate these survivors about their legal rights. 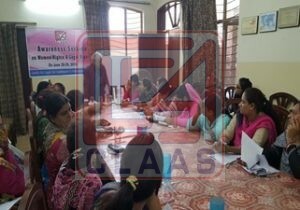 These workshops are conducted with the help of qualified human rights activists and lawyers. 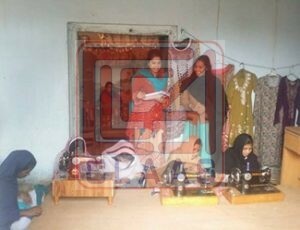 Women staying in “Apna Ghar” are also provided hands-on skilled based trainings to empower them to become financially independent. CLAAS also encourage them to get formal education by providing them a female teacher who comes to shelter to give them tuition. Any survivor who wish to continue their studies in school or college, observing all security measures CLAAS make arrangement for their admission in regular schools and colleges. Religious intolerance in Pakistan makes it extremely dangerous for individuals who find spiritual fulfillment in Christianity and wants to practice their Christian faith. 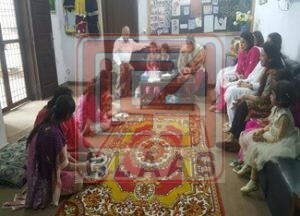 Furthermore, free will marriages and Inter faith marriages are not acceptable in Pakistan. Women who dare to marry without the consent of the family and especially outside her religion are viewed as someone who has brought shame and disgrace to the family. The homicide of the victim is viewed as a way to restore the reputation and honour of the family. The perpetrators of honor killings are often legally pardoned due to loophole in the present law. Since its operation in 1992 CLAAS was approached by individuals, couples and families who converted to Christianity and Muslim woman married to a Christian male were now facing serious threats from their respective families and local radical groups. At that time CLAAS was unable to provide them shelter but extended legal help in criminal cases filed against them. In 2004 Barnabas Funds UK enabled CLAAS to purchase a piece of land to build a Safe House for new converts. It has proved to be a safe haven for couples and families who face life threats. 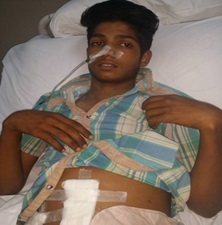 CLAAS office received numerous complaints of health problems as well as forced labor from the marginalized community particularly the brick kilns (laborers working in brick making). CLAAS made survey and found that the brick kilns and their family member are working in the clay almost for twenty four hours and they obviously got different diseases mostly they are suffering with skin infections, scabies, respiratory tract infections, fever, anemia, diabetes and liver diseases. The poor slave brick kilns have no accessible or affordable healthcare facilities available. CLAAS also observed that they are working on very low wages and surviving just hand to mouth usually made to work forcibly without payment. CLAAS also received many complaints of forced labor and illegal detention & chained as slave, following these complaints CLAAS rescued and freed 781 brick kiln laborers with the help of 11 bailiffs of the High Court at once. CLAAS started this project in October 2004, with support of Medic Assist International UK. The MAI-UK also provided a full equipped ambulance. The CLAAS appointed a team of certified doctors along with a staff-nurse, laboratory technician and a driver. 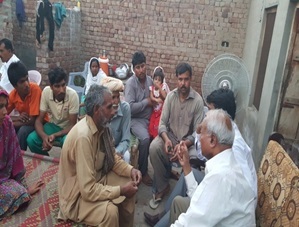 The monthly plan was described as twelve visits in every month (six new and six follow-up visits) at different brick kilns situated in the area of province of the Punjab for providing free medical health facilities to the people working and living at Brick Kilns. The moment CLAAS is providing medical as well as legal assistance. CLAAS helping the families in troubling by the false allegations of blasphemy and illegally implicating in other criminal cases and are confined in the jails. CLAAS financially assisting the affected incarcerated families since 2000 and the idea was to help the families in starting with small business and to earn their day living by themselves. The project was focused on the families who became the direct victim of communal violence and persecuted in the name of religion. CLAAS taking cares their financial needs accordingly and through this project the affected families are able to start their own small business. CLAAS started this project with the help of the JUBILEE CAMPAIGN USA & UK. 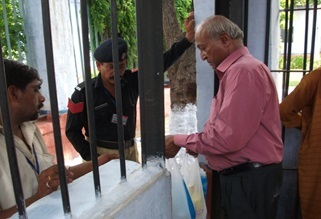 In the past CLAAS was engaged in quarterly jail visits covering Punjab. Through these visits we were able to collect data on number of female, children and male non-Muslims confined in different jails and the nature of their cases. We were able to identify their needs including legal aid. Since 1999 the government has restricted the access of nongovernmental organizations to prisons. We have written to Interior Ministry as well as Home Ministry to allow us to at least with the Christian inmates our request has been denied due to security reasons. CLAAS will continue to work to get permission to visit prisons on monthly basis in our quest to provide legal aid to those who do not have means to hire a lawyer. CLAAS intends to start a Prison Ministry through this Ministry we will arrange a pastor to visit the inmates and besides giving them spiritual counseling he will hold Sunday, Christmas and Easter Mass for the inmates. Due to heightened security provincial and federal authorities denied any access to any detainees under blasphemy and Youhanabad case. Mr. Francis and CLAAS lawyer Mr. Tahir Bashir were given special permission to meet with Zafar Bhatti in Adiala Jail, Rawalpindi, and Sawan Masih in Central Jail Faisalabad. CLAAS always felt the need to do more in cases of Blasphemy where the male member of the family was accused and put behind bars. In almost every case the person accused was the sole bread earner of the family. 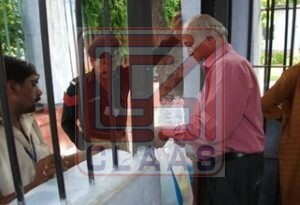 CLAAS was also approached by many widows who were unable to feed their children due to lack of resources. Also there were victims family members who were unable to find work due to Barnabas Funds – UK was the answer to CLAAS prayers to help these Christian families in time of need. 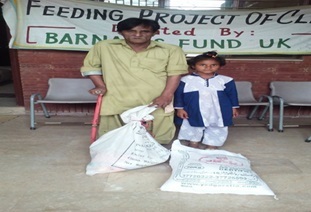 Barnabas supported CLAAS to start a Feeding Project to give monthly grocery to needy families. Right now through this project forty (40) Christian families are given grocery on monthly basis. A very important activity of CLAAS is advocacy on important issues of concern. We arrange sittings and gatherings of young Christian girls and boys to sensitize them on major concerns faced by religious minorities including forced conversion, gender based violence, sexual harassment and any other discrimination based on their faith. They are given awareness on their legal rights and what action they need to take to confront these challenges. CLAAS arrange social integration programs to talk about the work of CLAAS and how our community can participate in our work to strengthen our struggle against injustice and discrimination. To highlight our concerns we arrange press conferences, public meetings, seminars and workshop to engage in dialogues with the stake holders. Women empowerment is not possible without giving social, economic, political and personal rights to every female living in this country. There are various laws that are discriminatory to women and restrict them from participating in decision making. CLAAS is very vocal on women rights and has long struggled along with other prominent women rights organizations for the promotion of equal rights to education for girls, change of Pakistan family laws to protect women, equal pay scale for women and right to own property. CLAAS aim to end gender based violence and discrimination in our society. Through its platform CLAAS encourage young girls to actively participate in all activities carried out in their own communities, churches, villages and even families to assert their presences. Empowering our young women can play a significant role in the economic development of our community and nation and that is only possible with women employment. To empower our young women CLAAS has organized programs, workshops, skilled based trainings in jewelry making, sewing and stitching, cosmetology and other activities to enable them to generate income to support themselves and their families. We also encourage our girls to gain education and in some cases CLAAS financially support girls who want to study but due to lack of financial means and family problems are unable to continue their education. From the beginning of its operation CLAAS has been very active in providing immediate relief to survivors of mob attacks: on Churches, Christian residential areas, villages and now suicide bomb blasts in public places and parks. After initial visit to the place of occurrence CLAAS identify the areas where assistance is needed. It has been observed that the individuals injured in bomb blast require immediate and long term medical care. Most of these survivors live with lifelong physical and mental disabilities. Through its friends and partners CLAAS has been able to provide one time financial help to cover medical expenditures.